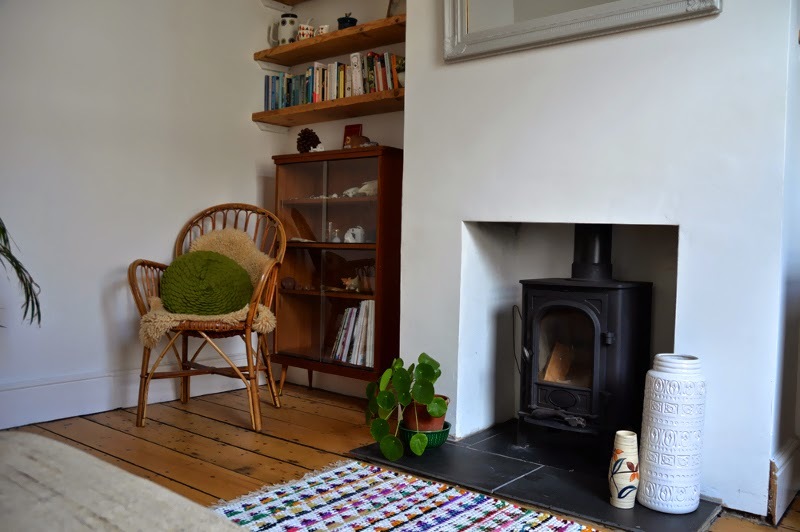 In the second of my nosy little series about bloggers beautiful spaces, I’m bringing you a peek inside the lovely Bristol home of Lou Archell from Little Green Shed. 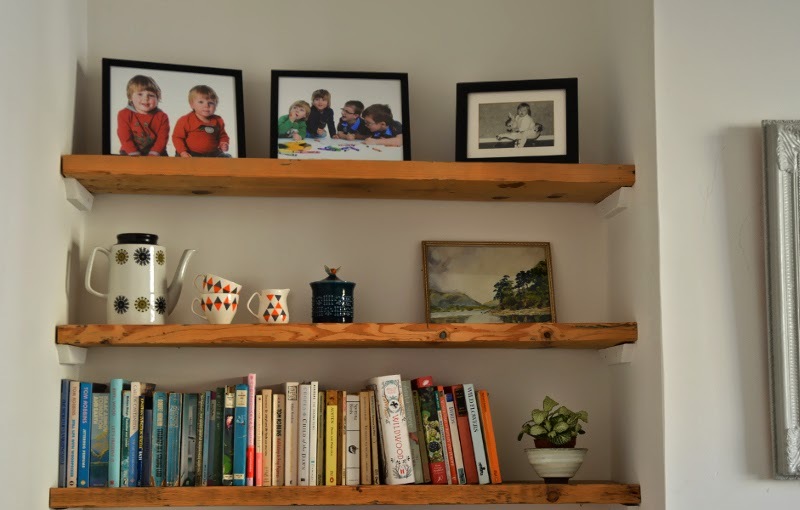 If you haven’t already visited her blog, make sure you do; it’s a wonderful mix of simplicity, calm and beautiful imagery – I highly recommend settling in for a read with a nice big slab of cake. Hello, thank you for having me! I must admit, when Victoria asked me if I would be interested in doing this, I really freaked out about my messy house. But once I chose the room and gave it a good ole clean, I really enjoyed this process of taking images. 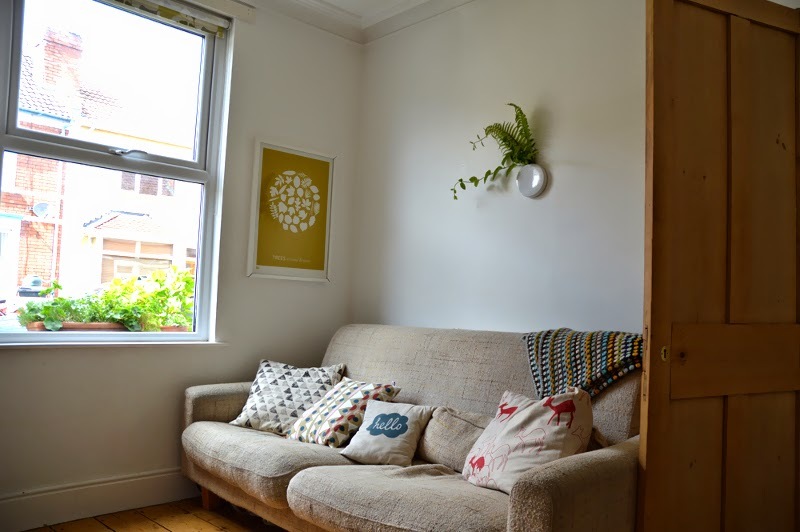 I hope you like it; my lounge is very much a ‘work in process’. I think Pinterest is to blame really. Always finding inspiration in other peoples homes. My lounge is possibly one of the smallest rooms in the house. We use it for relaxing, watching movies as a family, and as a grown-up space away from the mayhem of the rest of the house. I love mid-century furniture, mainly because you can pick them up pretty cheaply and they have a great shape, and lend themselves well to being upcycled. I painted the little chest of drawers in the corner recently with Farrow & Ball Molesbreath. I think it looks great. As you can see, I am a lover of plants and nature. We have a ‘curio cupboard’ which contains our family ‘treasure’. Things the boys have found whilst out adventuring; a sheep skull, shells, seed heads and so on. Not for the faint hearted I know, but we love it. On top of the cupboard is a small card sculpture by my son Charlie. He made it in art class, it’s a 3d sculpture of London, I adore it and will treasure it forever. I have many plants in this room, I think it adds a sense of calm and peace. Just what I need after a busy day working and being mum. The small pot with a face on is by Atelier Stella (she has a monthly sale, and they sell out pretty quickly too). 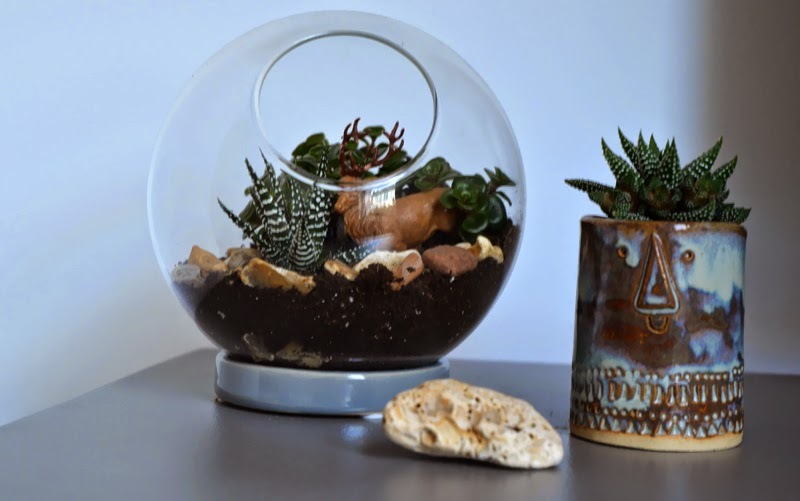 The terrarium bowl is from the Pippa and Ike Show – I must remember to do the tutorial for this as part of my Nature in the Home series. I love our big sofa, it was a lucky Freecycle find. In fact, most of the things in the room have either been ‘found’ or cost no more than £20. On the sofa are cushions I have made and bought, including some by Donna Wilson and Hello Milky. On the wall by the window is one of my favourite prints, it’s by Bold and Noble and is called ‘Trees around Britain’. Are you noticing a nature theme here? Thank you Victoria for having me! I hope you liked having a little peek into my world. Huge thanks to Lou for taking part in the Bloggers at Home series; to see more, head over to Little Green Shed, or look for #natureinthehome and #52loaves on Instagram, both started by Lou herself. 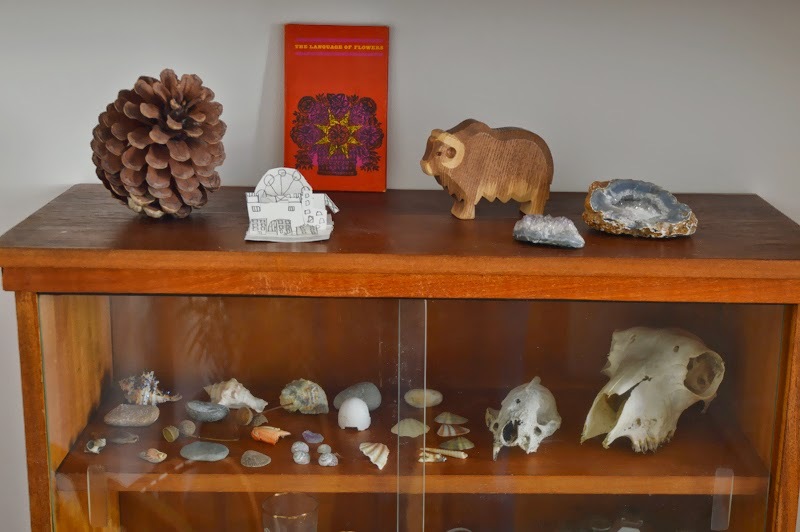 Loving the cupboard of curiosities – I really need to do this so i can find a place to keep all the bits and pieces my kids collect. 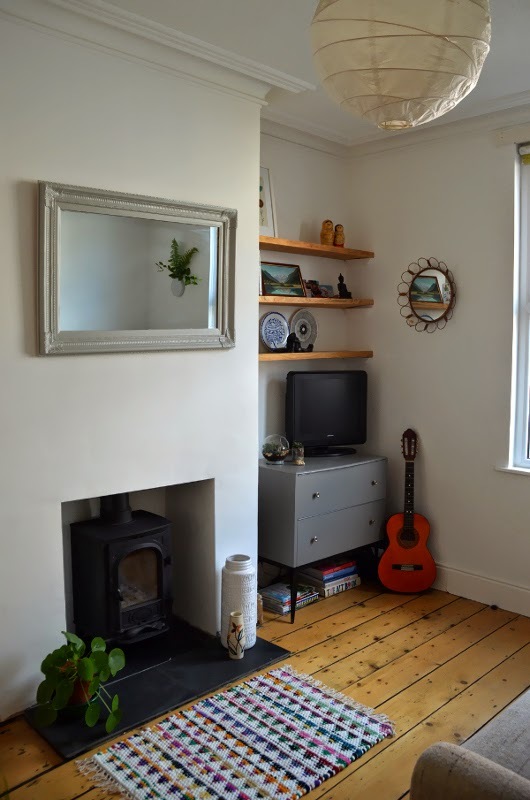 Lovely home, lovely blog!